It can be said that if have to choose one of the most highlight places in Southeast Asia to travel, Vietnam will be a popular destinations you should not be missed. Vietnam - our charming and gorgeous country always has tours for all interest that will take you from the spectacular mountains to the wonderful beaches. 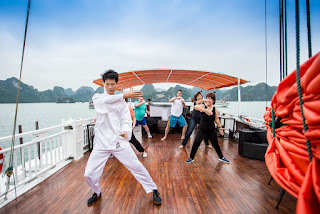 Located in northeastern Vietnam, Ha Long Bay resembles a scene from a fantasy story with its thousands of limestone karst islands of different shapes and sizes. Some of the islands contain lakes while some are hollow, with a colorful fairy land of grottoes inside. Here will be paradise for relaxing and also an ideal place where you will participate in a wide range of excited activities including visiting the bay, discovering beautiful islands, visiting the glamorous caves, the fishing village, swimming or kayaking and much more. 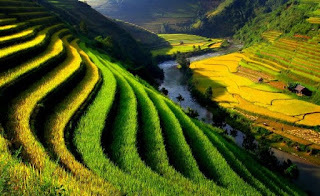 Besides a captivating Halong Bay, Sapa will be a other magnificent place that will take you to the stunning land with the impressive sceneries, spectacular waterfall,and the boundless green rice paddy fields along the narrow river. Especially, experiencing the indigenous cultures and the customs of local ethnic minorities will be interesting activities you can not ignore. Do not hesitate to take a visit to Sapa once in lifetime, where you will have chance to to be immersed in the beautiful nature, and do not forget to visit the colorful markets of local residents. 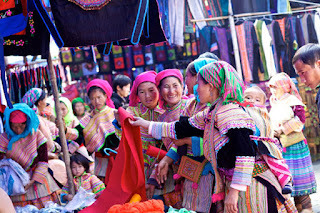 Sapa market will bring you a colorful world, it is very interesting and unforgettable in your mind. 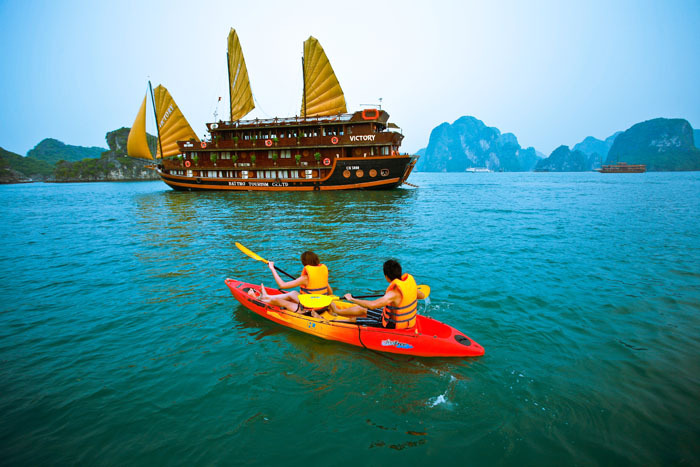 Tag: Discover Halong bay and Sapa, Halong Bay Tours, Sapa Tours, Vietnam Package Tours.